No other foreign culture has made such a lasting mark on Berlin as that of Turkey. After decades of migration, the result is that at least six per cent of the capital's population has Turkish roots. There are various pockets of the city where these migrants tended to settle, but the most (deservedly) well-known is in Kreuzberg, where Turkish culture has played a major role in making this one of Berlin's most vibrant neighbourhoods. Image by Neil H via CC BY 2.0 licence. 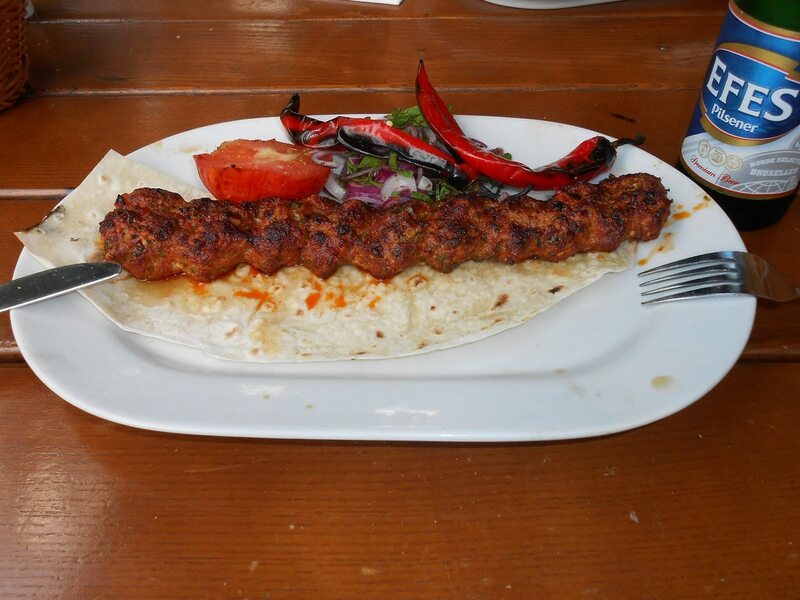 As one of the most famous cultural exports from Turkey is its cuisine, it goes without saying that any exploration of Turkish Kreuzberg, sometimes referred to as 'Little Istanbul', should begin with a big appetite and include many eating stops on the itinerary. It's highly recommended to head down here on a Tuesday or Friday, when the outdoor market by the Landwehr Canal - affectionately known to all as the 'Turkish market' - sets up shop. 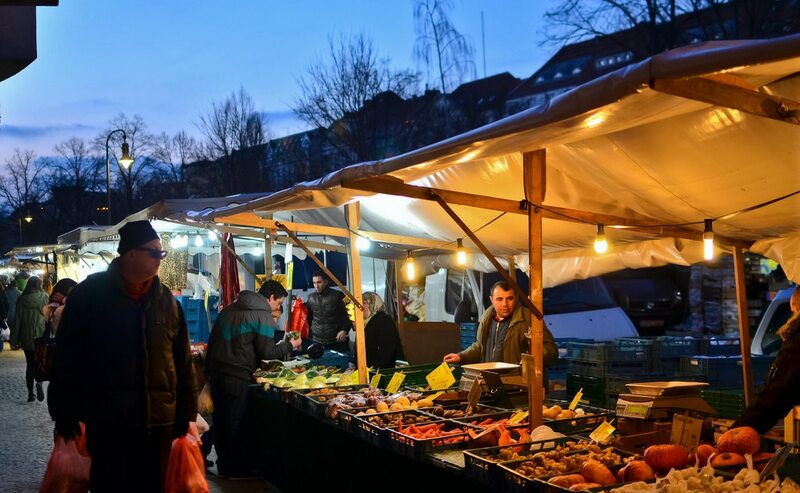 From 11:00-18:30, the Maybachufer embankment is packed with a mix of housewives in headscarves, hippies and hipster locals, all filling their bags with fresh and unbeatable-priced produce. Besides seasonal fruit and veg, there are also vendors selling Turkish bread, cheese, olives, spices and so much more. Get yourself a cheese-filled gözleme pancake fresh off the griddle, search out a seat overlooking the serene canal and watch the swans and tour boats go bobbing by. Image by Ozgur Cam via CC BY 2.0 licence. The market is just off Kottbusser Damm, which is the main artery of this part of Kreuzberg. Head north and you'll reach the rowdy, ring-shaped intersection that is Kottbusser Tor, which is an epicentre of sorts for the local Turkish community. From here, there are more delicious food options than you'll know what to do with. For an on-the-go snack, pop into Leylak (Kottbusser Str. 25), which bakes the flakiest, tastiest börek pastries around, layering cheese or minced meat between sheets of delicate pastry. Day or (very late) night, you can't go wrong with either Doyum Grillhaus (Admiralstr. 36) or Konak Grill (Reichenberger Str. 10). 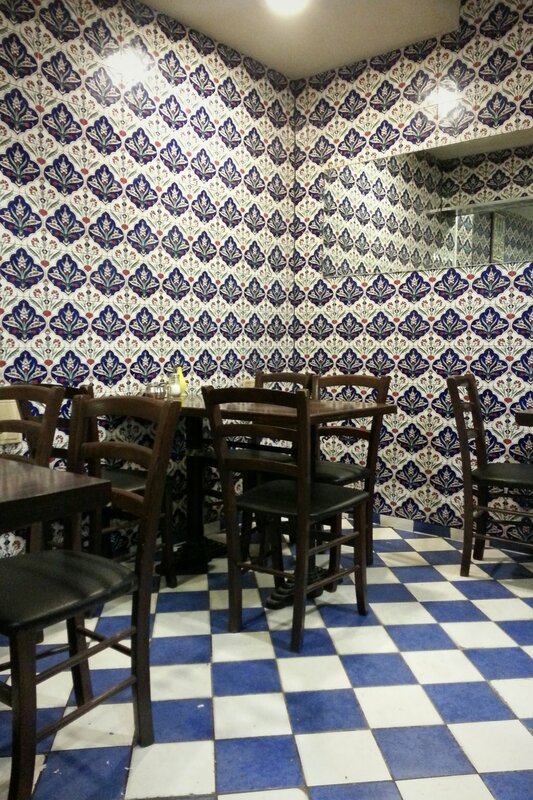 The former is a favourite amongst local taxi drivers, featuring some beautiful traditional tiles on its walls despite the generally no-frills décor. The star of the menu is the Adana kebab: charcoal-grilled minced lamb that is equally delicious on a bed of rice, grilled aubergine puree or paprika-yogurt sauce. The nearby Konak stays open until 02:30 on weekdays and 04:00 on the weekends, making it the post-bar snack of choice for many night owls in this neighbourhood. The house specialty is köfte, grilled meatballs that are stuffed into a crusty bread roll with salad, onions and spicy sauce. Try them once and you'll understand why there's a lineup here even late into the night. Image by Alper Cugun via CC BY 2.0 licence. Hope you saved some room for dessert - Kilicoglu (Adalbertstr. 9) is just around the corner with a range of baklava, filled with ground pistachios, walnuts or hazelnuts and dripping with buttery syrup. 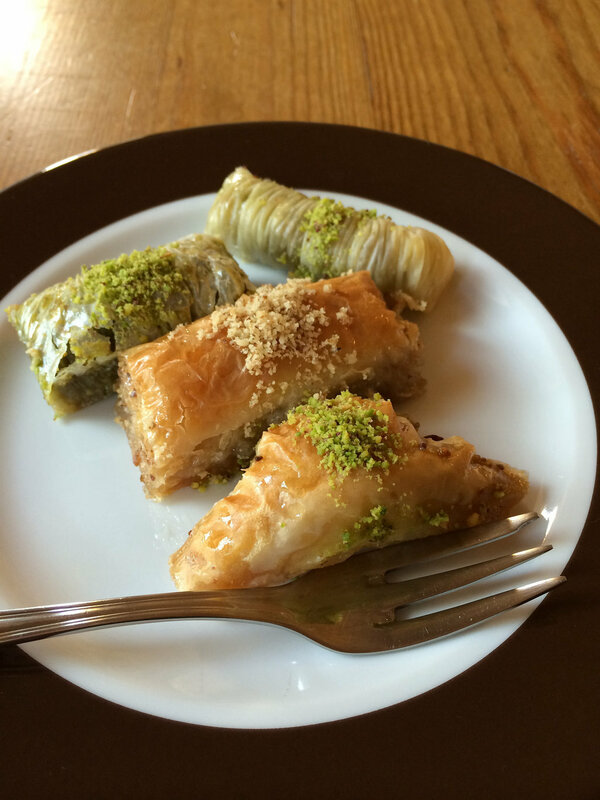 By the way, die-hard baklava connoisseurs won't regret taking a slight detour out to Pasam Baklava in Schöneberg (Goebenstr. 12a). Fans from far and wide swear the melt-in-your-mouth delicacies here are Berlin's best. When it's time to take a digestive break after all the eating, take a seat at Smyrna Kuruyemis (Oranienstr. 27) to sip a strong black tea and watch the busy street life go by. Seeds and nuts of every imaginable kind and flavour are roasted on site, and this is a popular spot for friends to gather to crack bag after bag of sunflower seeds and gab and gossip for hours. Image by Peter Dyakov via CC BY 2.0 licence. After the sun sets and it's time to find somewhere to relax and recuperate from the busy day, there are two nearby options: Hamam (Mariannenstr. 9) is a Turkish-style spa that offers not only blissful steam baths, but also traditional scrub treatments and invigorating full-body massages. But sorry, gents - this place is for ladies only. Or head further south into Kreuzberg to La Femme au Café (Pflügerstr. 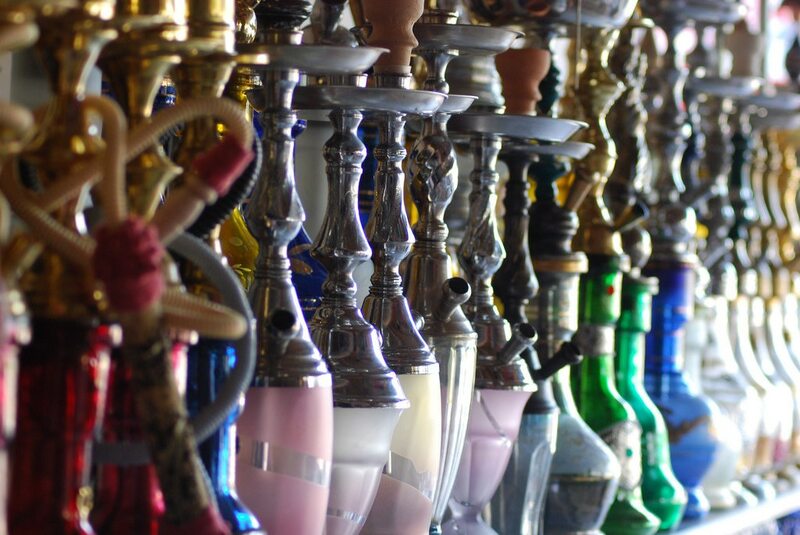 1), a chic smoking lounge popular with trendy young Turkish-German locals - do as they do and pick out a nargile water pipe and a flavoured tobacco to chill out with. It may not quite be the real Istanbul, but it's Berlin's own, special thing: Little Istanbul. Want to experience 'Little Istanbul' for yourself? Check out our Berlin hotel deals to start planning your trip.